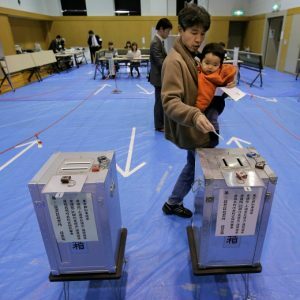 Japan is lowering the voting age to 18 from 20, giving no other explanation then “it is appropriate”. As we know, the word and the practice of “democracy” comes from ancient Greek. The Greek established that the decisions could be taken by a vote between a number of distinguished members of society that were called the “demos”. The number of people who had the right to vote and were called “demos” was limited and those were supposedly the most clever and responsible members of the society. 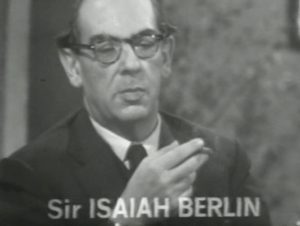 Those restrictions could be traced nearly to modern times with “demos” being gradually extended to all those grown up men who were given the right to vote, assuming that they were mature enough to have the best interests of the society as a whole at heart. Unfortunately, with the widening of the voting “demos” the quality of decisions deteriorated accordingly. Now we include nearly the whole society in the “demos” and we seem to expect the 18 year old boys and girls to be mature enough to have the best interests of the society at heart. That is definitely a perversion of the original philosophy and practice, isn’t it? The young can be easily manipulated. They do not have the experience, the maturity, the cunning of the elder to see through the manipulations and clearly understand what is best for the country. They do not possess long-term views or wide perspectives. What kind of decisions can we expect from them? We can expect that they will go with whomever gives them the most convincing story, that is not the most truthful, not the most practical, nor the most needed, but simply the most attractively told. Well, that’s easy to see now. That’s where the marketing comes in. This move to include younger people into the voting “demos” is nothing else than a trick to make the “demos” more gullible and easy to manipulate. Welcome to “democracy”. Quite often, the data on repressions are used to demonstrate that a country is not “sufficiently democratic”. Here is some rather interesting data on the prison population in different countries from the International Centre for Prison Studies. Let’s start with Russia, as it is now again the new enemy #1 of the “democratic world” as announced by the leaders of USA. In Russia, the number of prisoners equals to 467 people per 100,000 of national population. Is that a lot or not? Let’s compare with other well-known totalitarian regimes. 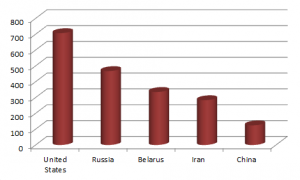 Their neighbor – Belarus with their totalitarian leader Lukashenko sports 335 people per 100,000 of population in jails. Uhm, okay, so Belarus is not as totalitarian as we thought. But certainly Iran would qualify as a totalitarian state, where people are thrown into jail for minimal brushes with the Muslim laws, right? Iran has 283 people per 100,000 of population in jails. No, this cannot be right. China! China is the totalitarian state of the century! China’s oppression of the “small man” is iconic and this is confirmed by their prison rate of … 124 people per 100,000 of national population. Strange, isn’t it? Okay. Let’s get to the democratic side then. How are the things in the leader of the world democracy – United States? United States welcomes you to democracy with a prison rate of 707 detainees per 100,000 of national population. Oops. USA has 5% of the world population and 25% of the world incarcerated population. Does this mean that to reach proper enlightened democracy Russia has to put double the number of people into jails and China would have to get five times as fast at locking people up? Spain’s north-eastern region of Catalonia finally cast their vote despite all of the resistance from the Spain’s authorities. The non-binding vote went ahead after Spain’s constitutional court ruled out a formal referendum. Almost 2 million people out of the population of 7.5 million could vote and the preliminary result is an overwhelming 80% in favor of vote of independence for Catalonia. 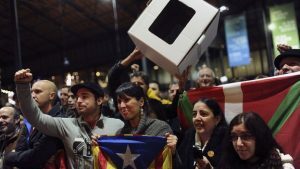 Catalan leader Artur Mas hailed the non-binding poll “a great success” that should pave the way for a formal referendum. Spanish Justice Minister Rafael Catala dismissed the poll as “fruitless and useless”, however. “The government considers this to be a day of political propaganda organized by pro-independence forces and devoid of any kind of democratic validity,” he said in a statement. Judging from the recent events the region will not be allowed to gain independence in any democratic sort of way. Unfortunately, it is completely unclear whether Catalan are prepared to stand up and fight for their rights with weapon in hand. With the non-equivocal resistance from Spain that may eventually remain the only way though, just like the fight of the Eastern Ukraine for independence showed. It may be hard to imagine a bloody military battle in Spain but a year ago it was impossible to imagine a bloody battle in Ukraine either. One thing that Spanish government made very clear is that they are not letting the region go. That stands to reason, no country is keen on breaking itself up, so why should they? If Catalonia wishes independence, they will have to fight for it. The economics of politics is such that it must become more expensive for Spain to keep them than to let them go. Is there a peaceful and non-destructive way to do that? I just watched the BBC Series The Trap: What Happened to Our Dream of Freedom from 2007. The three one-hour series present a very interesting insight into one of the facets of our society. The basic idea of the movie is to describe the origins of two ideologies of freedom that dominate the world: the positive and negative freedom. The positive freedom is based on an ideology, on an all-encompassing idea that drives people forward, like in Soviet times, for example, while the negative freedom basically justifies “everyone for himself” attitude, promoted by the “free market” ideologists. The interesting part is that the authors conclude that both ideologies cause societies to end up in the same place eventually and then the positive freedom society at least has some ideology while in the negative freedom society people lose all purpose in life. … the game theory/free market model is now undergoing interrogation by economists who suspect a more irrational model of behaviour is appropriate and useful. In fact, in formal experiments the only people who behaved exactly according to the mathematical models created by game theory are economists themselves, and psychopaths. And so it is a very interesting series. Highly recommended.